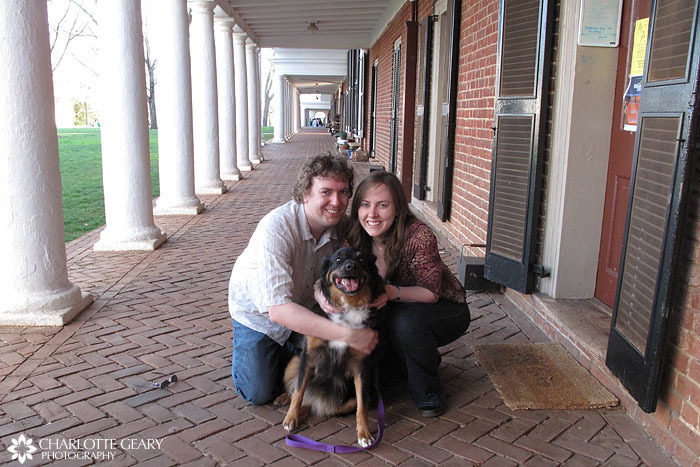 I took Mike and Ally to my college last weekend! 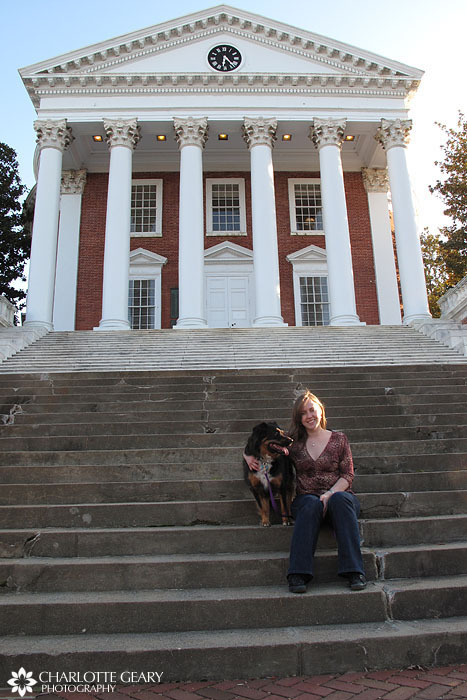 I love this photo of Ally and me on the steps of the Rotunda. 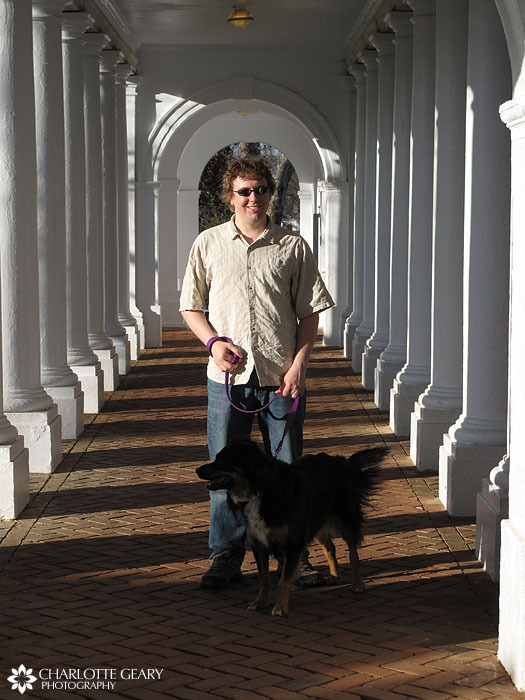 I went to the University of Virginia for a BA in psychology (1996) and an MEd in instructional technology (2001), and loved my time there. 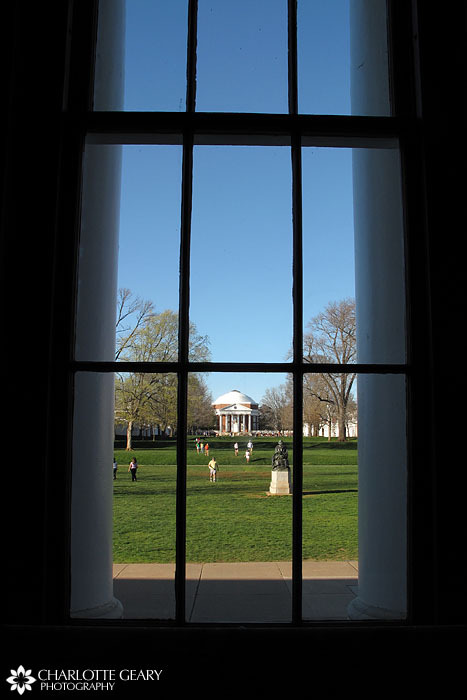 We stopped by UVA for a couple hours on Saturday afternoon and watched the students enjoying the 75-degree sunshine. 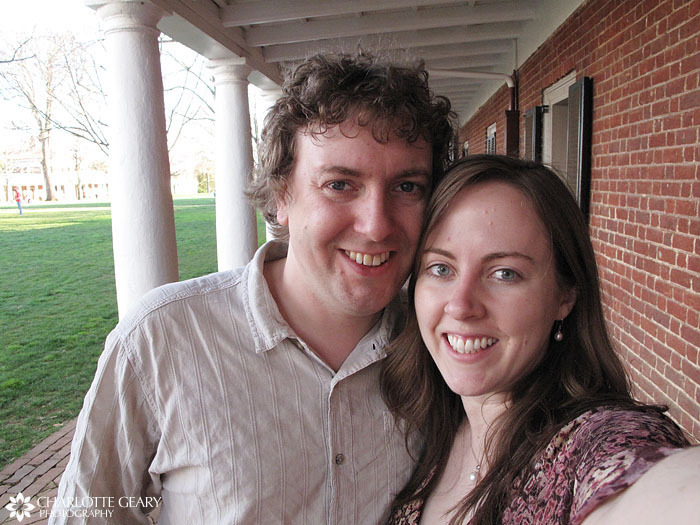 UVA is a gorgeous school with colonial architecture and gardens that are full of flowers this time of year. I just took a few photos with my point-and-shoot while we were there — after all, I’ve photographed all these spots many times over the years. At one point in the mid-90s, the guy at my photo lab joked that I was always photographing the same buildings! This girl was tightrope walking on the Lawn! 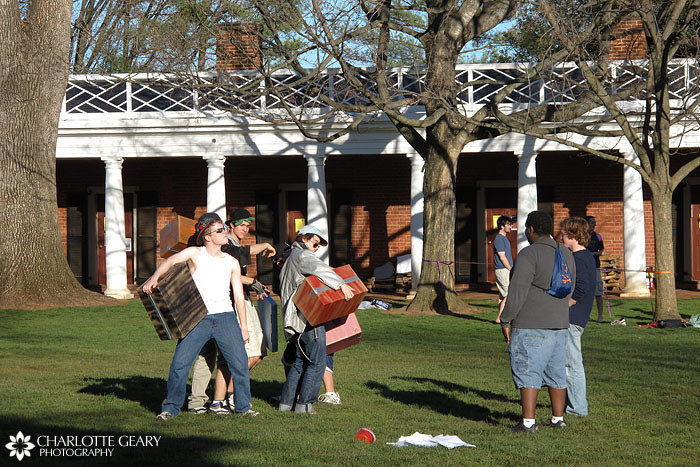 Several students were playing a variation of golf around the campus, using tennis balls. 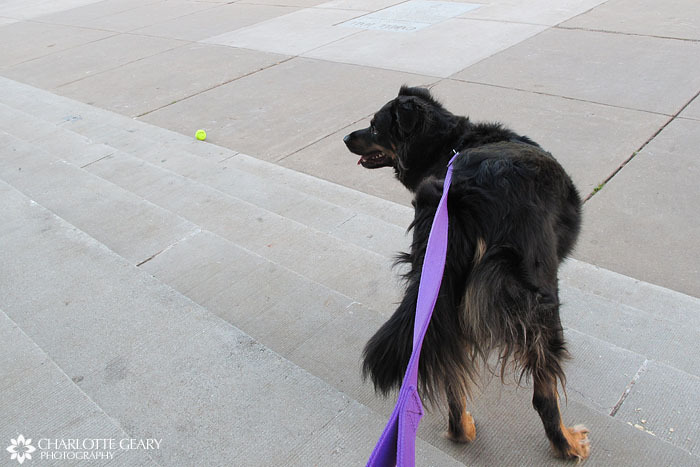 Every time a tennis ball came our way, Ally hoped it was for her. These guys were making a parody music video with colorful boxes. I think they might have been an a capella group, but I’m not sure. When I was a studen, I always imagined bringing my future family to the Lawn on a beautiful spring day. My brother got married in that Chapel. 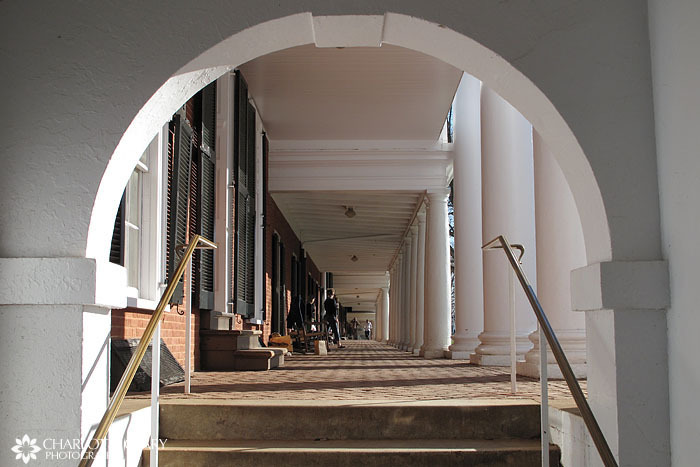 I applied to UVa, but given that I’d applied to do 20th-century American history, and two of the professors with whom I wanted to study were on leave, there wasn’t anything for me there. I applied to UVa fantasizing that I’d do an Early American field. How cool. We probably overlapped a bit then, since I left UVA in May 1996. What a great place it must have been to work. How cool — he must have been quite the artist! That’s right. Mr. Jefferson founded it in 1819, and the area where I took these photo (“The Lawn”) was the original part of the school. I haven’t heard of slacklining, so that’s good to know. What a cool new trend that looks really tricky! 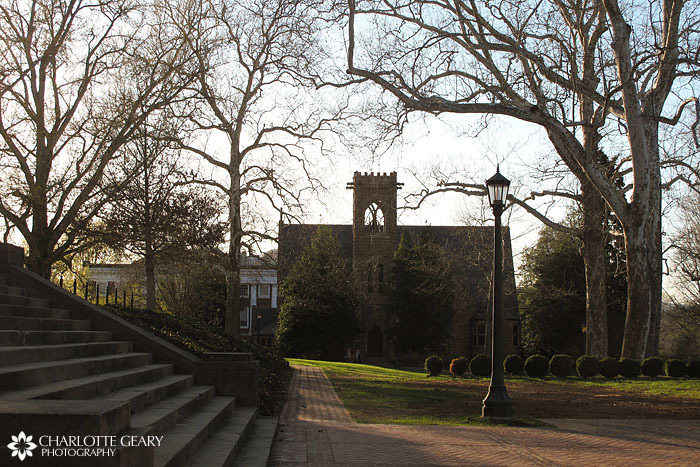 How cool… it really is a gorgeous campus, isn’t it? Too bad that it didn’t have the program you were looking for, but I hope you’ll love the one you choose. I didn’t see the new mural inside Cabell, but I wish I had! 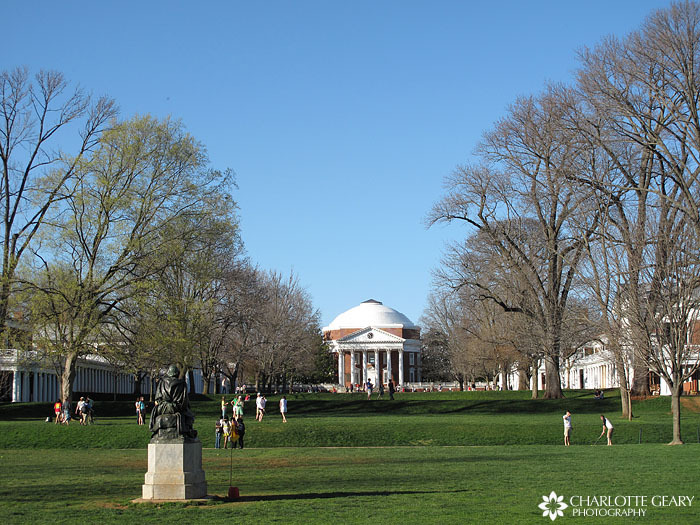 Charlotte, I used to work at UVA around 1996-7 and loved being Charlottesville. This was before my photography career and I worked as an IT guys for the ROTC programs there. I was based out of Maurry Hall… beautiful campus and full of such history that it was such an honor to be there…. At least Ally’s now been to where her Mommy went to college! 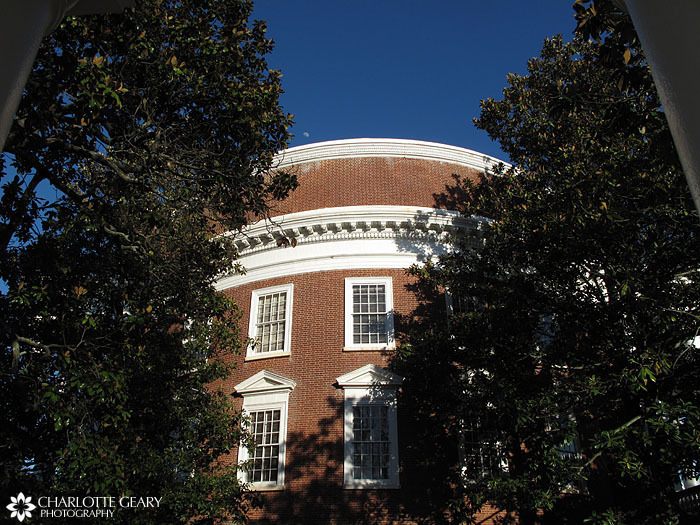 My grandfather engraved the Rotunda for UVA’s letterhead, and I remember being a young teenager walking around that campus being so excited to grow up and go to college. What great photos! Ooh, verrey nice. I do believe that’s the university that Thomas Jefferson founded/architected. Am I right? 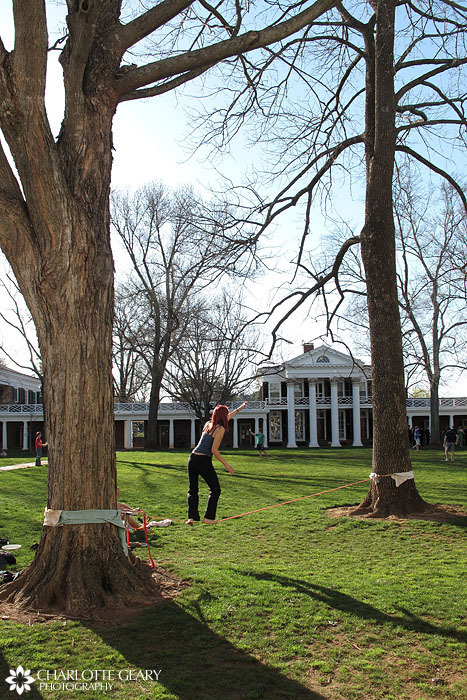 that girl is probably actually doing what’s called slacklining–it’s a wider piece of webbing versus rope, and it’s not held taut so the balance it takes is entirely different. i’ve never done it, but some people do it on my campus and i hear it’s incredibly difficult and fun! 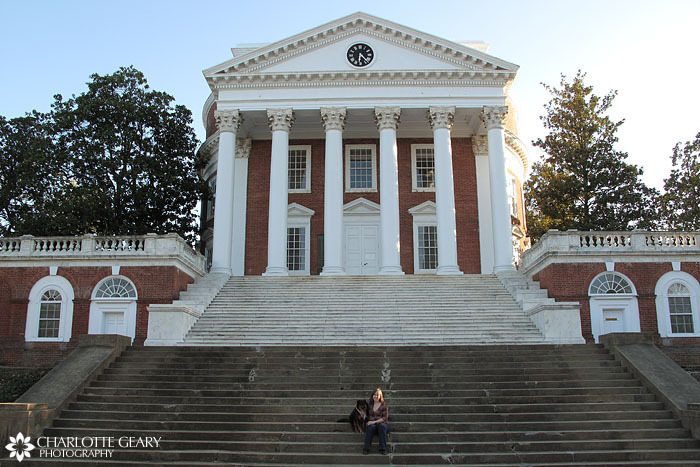 I don’t believe I forgot to mention this to you earlier – I applied to UVa for a Masters in Urban and Environmental Planning, and visited there on March 30th. The school was gorgeous and the history major in me was DYING to attend, but the program wasn’t really for me. I liked it so much though I bought a shirt even though I wasn’t planning on attending! The day I was there a student radio station was having a bike a thon of sorts on the lawn. I also went inside Cabell Hall, but only because I was lost around campus and when I said “Campbell Hall” everyone thought I meant Cabell. Did you see the new mural inside? What do you think of it?